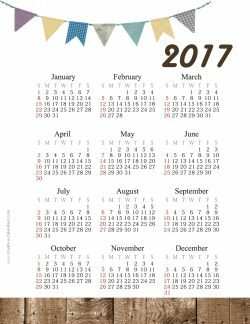 The following printable calendars show 2017 at a glance. All 12 months are on one page. 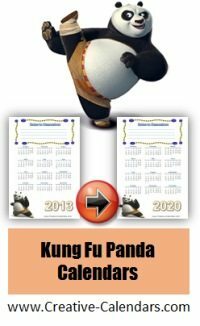 Yearly calendars for the year 2017 and beyond with a picture of Kung Fu Panda. 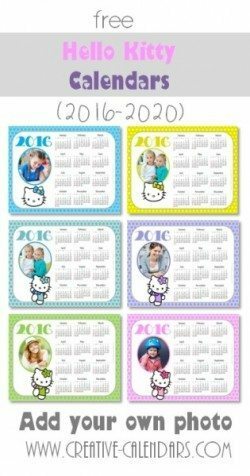 Description: 7 different Hello Kitty calendars. Each calendar has a different color frame. 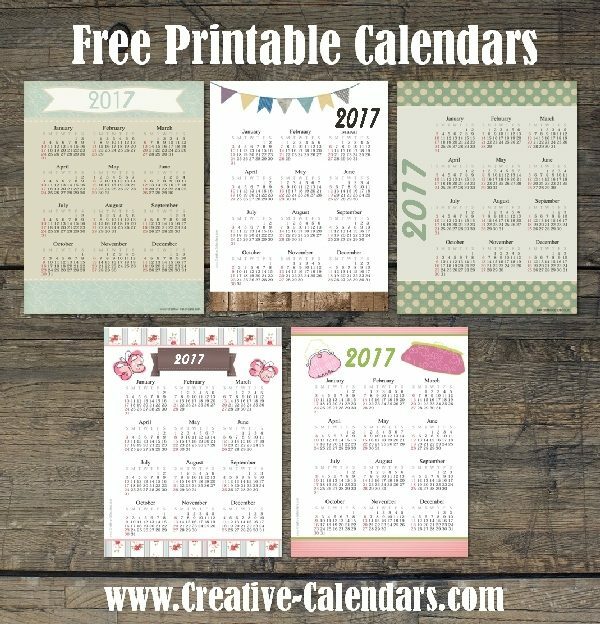 You can also add a photo before you print with our free online calendar maker. 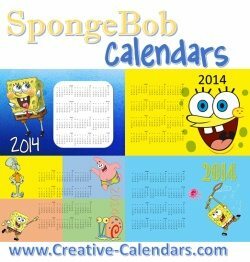 A variety of different printable calendars with SpongeBob and some of his friends. 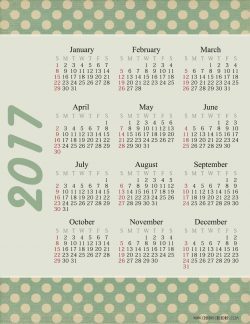 What is the difference between a yearly calendar and a monthly calendar? 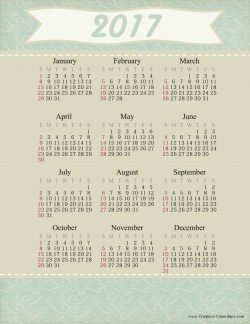 A yearly calendar has all the months of a year on one page (i.e. from January to December) on one page. A monthly calendar has each month on a separate page. 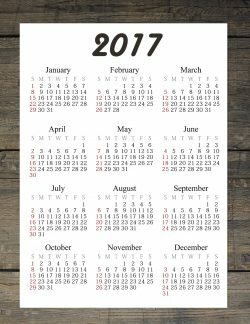 The numbers on the yearly calendar will be much smaller than those on the monthly calendar since space is limited. 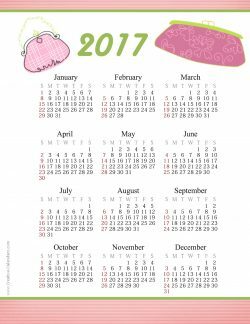 What can a yearly calendar be used for? Many people use it to record special dates such as birthdays and anniversaries. It is also easier to carry around. Please note that although the printable calendars on this site have been updated to 2019 the samples are not updated. 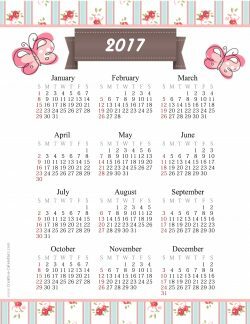 They are presented to show the calendar template for design purposes only. Once you click on “customize” the printable calendar will be updated to 2019 even if the sample calendar shown is not updated.